The acquittal of the Waihopai Three for their attack on the Waihopai spy base is as welcome as it is surprising. 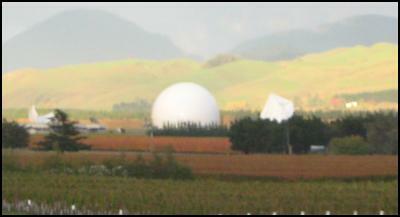 To succeed in court, one would have thought they would need to have proved a direct connection between the base near Blenheim and the war atrocities inside Iraq and/or the renditions occurring elsewhere – possible, but no simple matter – and moreover, that the property damage done was more than a symbolic act i.e. that the actions taken by the protesters went some way towards preventing, or mitigating the evil being committed. While no one knows what goes on in the hearts of jurors, the motive behind the decision to acquit is likely to have been based on social grounds, as much as on points of law. Meaning : the jury may well have sensibly concluded that no useful social purpose would be served by convicting and imprisoning these three men for the damage they had done to public property, given their sincerely held beliefs. Inevitably, there has been discussion about the precedent created by this decision. Plainly, no legal precedent has been created by a verdict reached by this particular jury, in these particular circumstances – and yes, any future case would be argued afresh, on its merits. Yet the publicity surrounding this case will mean that any future jury pool will be more likely to be aware of the argument of moral necessity advanced by the Waihopai Three, just as any future protester thinking of doing damage to public property will now be more aware of this defence, and its potential for success. Whether any other jury would look upon a similar defence quite as favourably is in the lap of the gods. To repeat : this jury reached a conclusion about the threat to society embodied by these three men. Yet if one is interested in the indirect precedent value… imagine how far such a defence would fly if three grey-haired kaumatua were to damage Police property, and then argue that this had been a symbolic action taken on sincerely held moral grounds against the enforcement arm of the ongoing neo-colonial oppression of Maori communities, families and children, as evidenced in the imprisonment, unemployment and health statistics. One suspects the same argument of moral necessity would not fly quite as far with a white, middle class jury. Meanwhile, the situation in East Jerusalem goes from bad to worse. The issue of further Israeli settlements has received the most publicity of late – mainly because this was the context for the recent humiliating snub delivered by the Israelis to visiting US Vice-President Joe Biden. But the related issue of Palestinian access to holy sites is even more inflammatory. As this report on Tuesday from Aljazeera reminded us, the second intifada was caused by denying Palestinians access to sites that are held holy by Jews and Palestinians alike. A few years ago, I ran into a storm of criticism for publishing in the Listener several maps of what had happened to Palestinian land since 1948. Last week, Juan Cole did the same thing on his excellent Informed Comment site, and ran into exactly the same sort of criticism. On Tuesday, he countered that criticism far more ably than I could manage at the time. The startling maps, and Cole’s sterling defence of their accuracy can be found here.